My adventures in Nigeria is filled with all manners of stories and intrigues. Some of these relate to my Yoruba tribe which in itself could pass for a nation on its own. I have rediscovered many of its rich approach to the use of words. In this short article I wrote many months ago, I shared some thoughts around this. 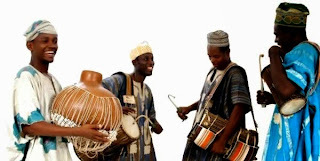 Many things in Yoruba language are unashamedly expressed literally without mincing words. This can often be embarrassing to both the listener and even the 'sayer'. For example, visiting the lavatory to do No 2 is literally expressed by the act in Yoruba. This can be cringing, crude and cruel to anyone who had the misfortune of asking where you are heading or where have you been. What the English language tries to hide in alternative, almost flowery words, the Yoruba language brings to the table raw and undiluted. On the other extreme, Yoruba people can also be very frustrating in their habit of never calling a spade by its name particularly in their attempt to save face and maintain peoples dignity. To this end, speakers of the language often employ anecdotes, proverbs, flowery illustration and non-verbal but equally powerful communication tools to bring out a point. In some cases, an expression of greeting is formed by the actions that an event triggers. For example, at the birth of a new born baby, the Yoruba greeting is not a mere congratulations as it is in English. We say 'e ku owo l'omi' - which literally translates as 'congratulations for dipping your hands in water.' This will be odd if the context is not fully understood. A new baby means a higher level of laundry i.e. washing nappies and baby clothes. It also means twice-daily bath for the baby. Both of these mean that the parents have a higher level of interaction with water, hence the greeting. It must be understood that this greeting originated before the age of washing machines or disposable nappies. In any event, some people don't have washing machines. Some parents also elect to use clothe nappies like we largely did for our children.